Vefmyndavél sem er sérstaklega hönnuð fyrir fjarfundi þar sem 1-6 manns þurfa að ná sambandi við annan hóp yfir netið. 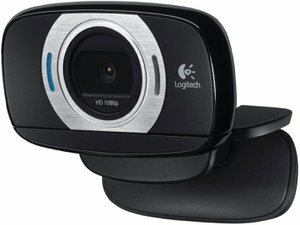 Myndavélin styður 1080p myndgæði og getur tengst með USB snúru eða þráðlaust (WiFi eða Bluetooth). Hljóðneminn virkar allan hringinn (360°). Margverðlaunuð og viðurkennd hönnun en ótrúlega lítið mál er að nota græjuna. Styður m.a. öll helstu samskiptaforrit sem notuð eru í fyrirtækjum, s.s. Skype, MS Lync, Cisco, BlueJeans o.fl. 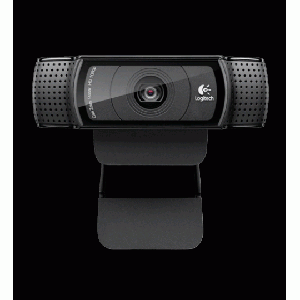 Video conferencing that is a snap to setup and includes a sleek cylindrical shape and all-in-one design. Connect is compact and easy to carry to meetings or toss into a carry-on bag when traveling making it so easy to use. Watch the video to see how easy Connect is to deploy. 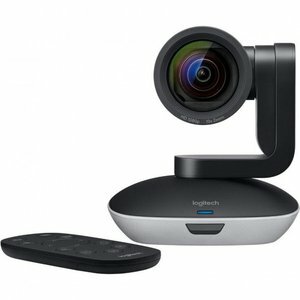 Chances are it’s compatible with what you are currently using - including, Skype for Business™ certified, Cisco Jabber®, WebEx® compatible, Microsoft® Lync and also has enhanced integration features with Logitech Collaboration Program (LCP) members. Small workgroups, of one to six people, deserve exceptional meeting experiences too. 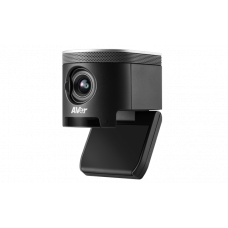 Connect delivers superior audio and video for one-on-one conversations or small group meetings. Small workgroups of 1-6 can experience a better meeting by having stellar audio & video capabilities in the meeting. Ease of use is an ongoing priority for end users and IT teams alike. 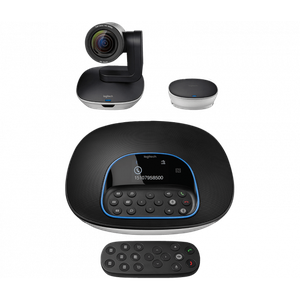 With plug and play functionality, Connect makes video meetings easy to set up, which means fewer calls to the help desk. 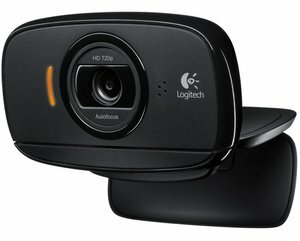 With a wide-angle field of view, Connect is ideal for interacting with multiple people seated at a conference table simultaneously. You get a full sound experience and free-flowing conversation with no dropouts on either end of the call. 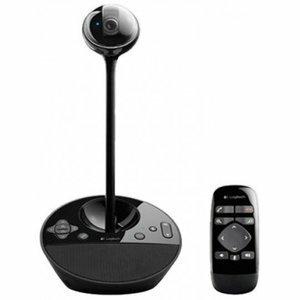 Pan/Tilt: Digital pan, tilt and zoom from remote control or optional downloadable app. Mechanical tilt. 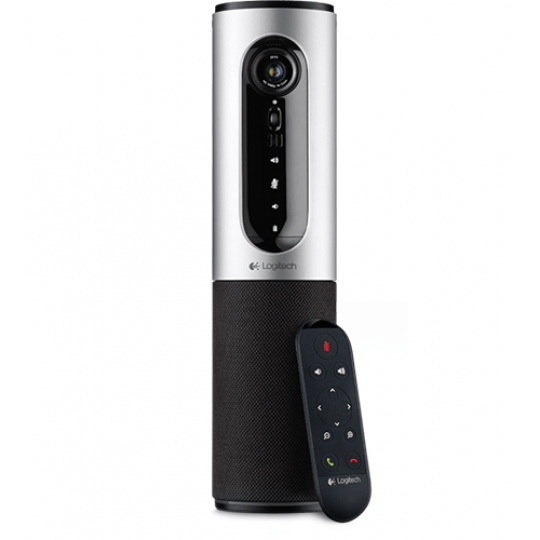 Speakerphone: Integrated full duplex speakerphone with echo and noise cancellation. 360° Wideband. Bluetooth® and NFC enabled. Microphones (Tx): Two omni-directional microphones supporting 12-foot diameter range. Speakers (Rx): Max output: 91.5dBSPL at 0.5M. Range: 12 foot diameter range (3.7 meters). 360-degree sound.